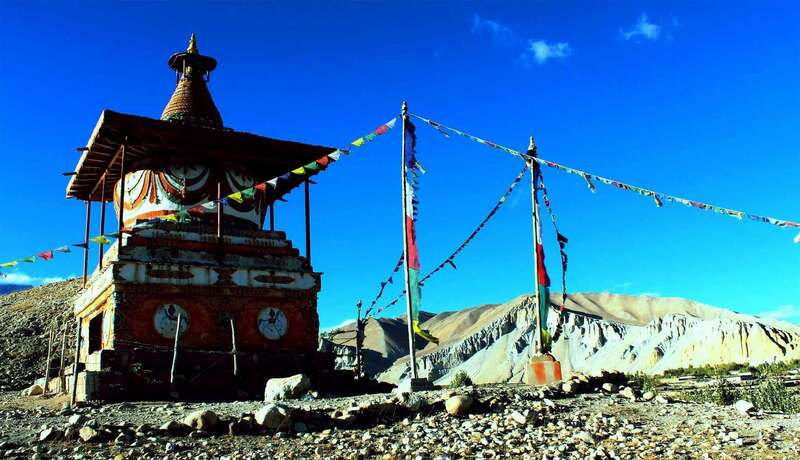 Teri La Pass Trek is newly explored trekking trail from Naar to Mustang. It allows you to discover the hidden treasure of Trans Himalayas of Nepal. 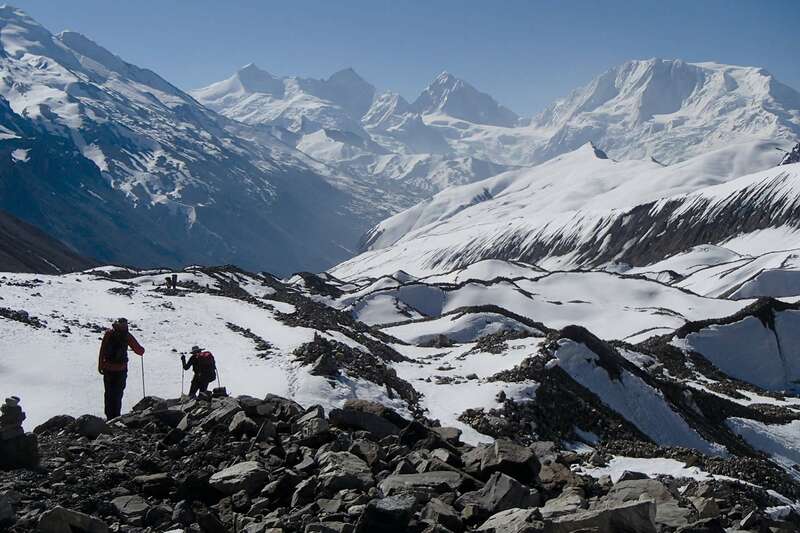 No technical skill required for the pass of Teri – La but you should have an excellent physical condition more than others classic trek in Nepal although this untouched Trans Himalayan trekking trail leads you from the Tibetan plateau in the heart of the Annapurna region. Teri La Pass Trek is not only challenging but offering a wilderness experience also. The core of this long and varied route is a brilliant week of the trek through the inhabitant area. Also, the camp requires an elevation between 4,000 to 5,000 meters from sea level. Despite its remoteness, The Teri La pass is an awe-inspiring view of the entire Naar Phu valley and picturesquely Mustang. 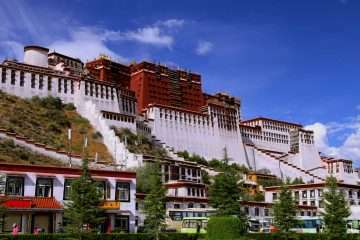 But it is offering majestic views of the Himalayan range, pristine alpine meadows, mysterious landscapes of the isolated region of Upper Mustang. 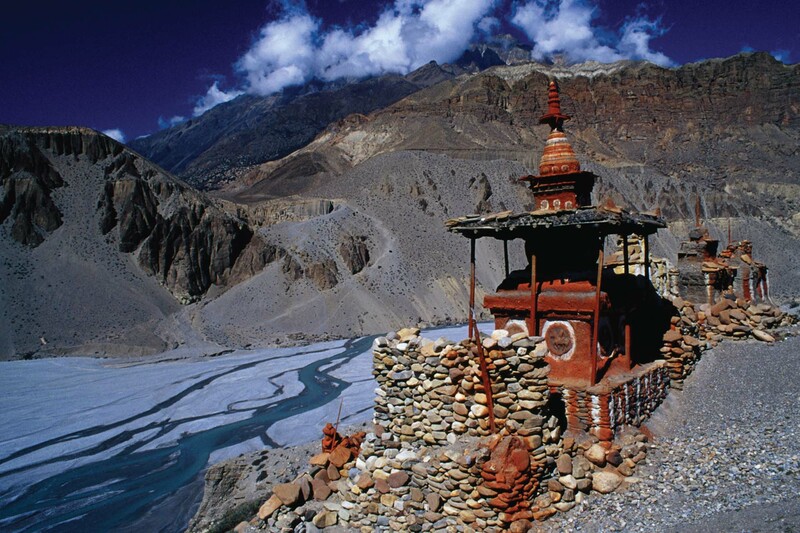 Finally, we reach in upper Kali Gandaki valley an ancient salt trade route between Nepal and Tibet. It is an opportunity to explore from one region to another region. The trek begins from Bensi Shahar, a classic route of Annapurna circuit trek. Then, the trail goes to enter the wilderness and hidden treasure of Naar valley from Koto. Then continues walking through Lapse Khola the alpine meadows and crossing over the Teri – La pass. It lies beyond the Chulu peaks into the unknown Damodar Himal. 3: Kathmandu – Bulbule (850 m) 7h00 drive. 4: Bulbule – Jagat (1400 m) 6h30 walk. 5: Jagat – Dharapani (1950 m) 5h30 walk. 6: Dharapani – Koto (2600 m) 5h00 walk. 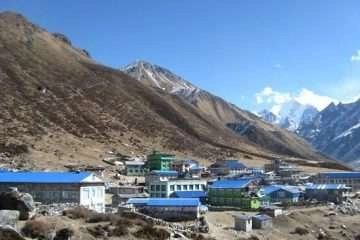 7: Koto – Dharmashala (3230 m) 7h00 walk. 10: Naar – Lapse Khola (4700 m) 7h00 walk. 11: Lapse Khola – Lungri(Lapse Khola)(5000 m) 6h00 walk. 12: Lungri – Teri-la Base Camp (5363 m) 4h00 walk. 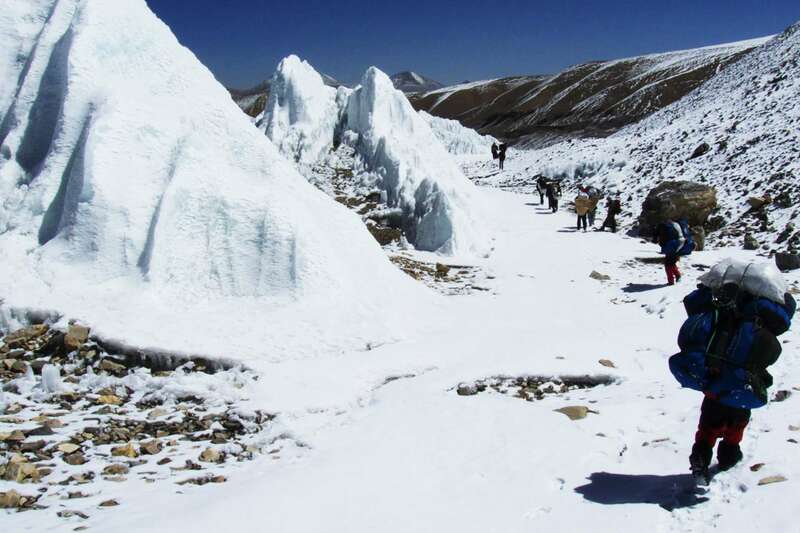 13: Base Camp – Teri-la pass (5577 m) – Pasphu Khola (4745 m) 8h00 walk. 14: Pashu Khola – Yakpa (4315 m) 5h40 walk. 15: Yakpa – Tangge (3338 m) 6h00 walk. 17: Tangge – Yara (3605 m) 5h00 walk. 18: Yara – Lo-mang thang (3800 m) 7h30 walk. 24: Jomsom – Pokhara – Kathmandu. Day 3: Kathmandu – Bulbule (850 m) 7h00 drive. Early morning; after the breakfast, our spectaculars journey begins through the Himalayan foothills, following by rivers and enter to Marsyangdi valley at Bulbule via Bensi Shahar. Day 4: Bulbule – Jagat (1400 m) 6h00 walk. We begin our trek by walking on the classic Annapurna Circuit trail following the Marsyangdi River. A climbing steeply to the villages of Bahun Danda where we approach first mountain scenery of Ngadi Chulu (7800 m) then descends through the cultivated land, waterfalls and small settlements to get Syange by crossing a suspension bridge over Marsyandi River then continue to walk to Jagat. Day 5: Jagat – Dharapani (1950 m) 6h00 walk. Walking on the well-used Annapurna Circuit trail, we pass through the villages of Chamje and Taal traversing by forests of bamboos along the trail. Afterward, Taal, cross a suspension bridge and easy walk to Dharapani. Day 6: Dharapani – Koto (2600 m) 5h00 walk. Today, walking along steep forested landscapes to reach in Timang where you can enjoy a spectacular view of Mt. Manaslu and other major Himalayas like Annapurna II, Lamjung Himal and easy walk to Koto. Day 7: Koto – Dharmashala (3230 m) 7h00 walk. Check all the permit of restricts the area of Naar and Phu; Beyond Koto, we leave the Annapurna Circuit trail and head up the narrower and steeper gorge of the Naar Phu Khola to a campsite at Dharmasala (3230m). The trails lead Continuing up the valley; we cross the river at Naar Phedi (3490m) and climbs up to Naar Village. Naar village waving colorful Tibetan influences as Stupas, monasteries, Chhortens since ancient. The inner Himalayan landscapes are another attraction of the region where peoples cultivate barley, buckwheat, and mustard, with lots of opportunities for exploratory short walks. Day 10: Naar – Lapse Khola (4700 m) 7h00 walk. Leaving Naar, we descend to the valley of the Lapse Khola and crossing the river, we climb to camp in a high yak grazing area at around 4700 meters elevation. Day 11: Lapse Khola – Lungri(Lapse Khola)(5000 m) 6h00 walk. The trail follows the Lapse Khola high above the river keeping approximately to the 4800-meters contour and climbing and descending to negotiate several side valleys. Towards the end of the day’s trek, we meet the river and make camp at around 5000 m.
Day 12: Lungri – Teri-la Base Camp (5363 m) 4h00 walk. Day 13: Base Camp – Teri-la pass (5577 m) – Pasphu Khola (4745 m) 8h00 walk. 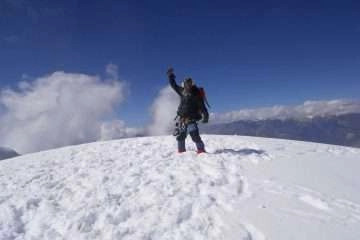 We cross the Teri La (5577 m) with tremendous views over the Himalaya and north to Tibet. We then descend to a camp beside the Pasphu Khola (4745m). Day 14: Pashu Khola – Yakpa (4315 m) 6h00 walk. We have a long day of downhill, but still with several climbs to negotiate tributary streams. Today we reach Yakpa (4315m) in the Upper Kali Gandaki Valley. Day 15: Yakpa – Tangge (3338 m) 6h00 walk. Another long day of generally descending, through wild country, to eventually reach the village of Tangge (3338m) in Upper Mustang. Tangge is a fascinating place, and this is a great opportunity for an insight into local life in this trans-Himalayan village. Day 17: Tangge – Yara (3605 m) 6h00 walk. Heading north on an undulating trail above the Kali Gandaki, we reach the village of Yara (3605m). 6 hours of walking with 850 meters of ascent and 500 meters of descent. Day 18: Yara – Lo-mang thang (3800 m) 7h00 walk. Descending to the Kali Gandaki River we cross to the western bank and make a gradual ascent to Lo-Manthang, the capital of Mustang at an elevation of 3800 meters. 7 to 8 hours walking with 800 meters of ascent and 600 meters of descent. 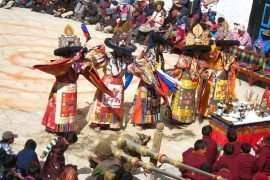 A day for exploring in and around Lo Manthang, with its narrow alleyways and brightly painted houses and chortens. Day 20: Lo-mang thang – Ghemi (3520 m) 6h00 walk. Day 21: Ghemi – Samar (3150 m) 6h00 walk. The trails leads several ups and down one ridge to another ridge passing by Nyi-La and descend to Samar with beautiful scenery of Annapurna range. Day 22: Samar – Kagbeni (2870 m) 6h00 walk. Day 23: Kagbeni – Jomsom (2800 m) 3h00 walk. Day 24: Jomsom – Pokhara – Kathmandu. A free day in Kathmandu. For those who wish, there will be a guided tour of some of the city’s most important sights. Today is also a contingency day in case of delays to the Jomsom flight.